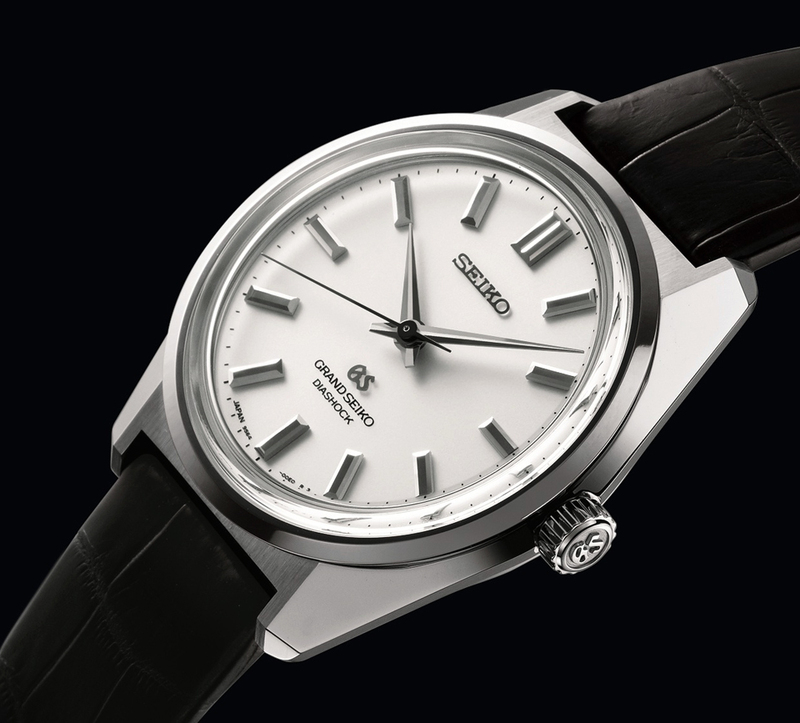 To celebrate 100 years of making wristwatches, Seiko have chosen to make a re-issue of one of their most significant watches, the 44GS Grand Seiko from 1967. The 44GS was significant because it was the first watch ever produced by Seiko where they actually used a designer on the case, not someone from engineering; and it shows. The 44GS set a baseline for all subsequent Grand Seikos to follow; I want to take a moment here to discuss some of the aspects of the design. 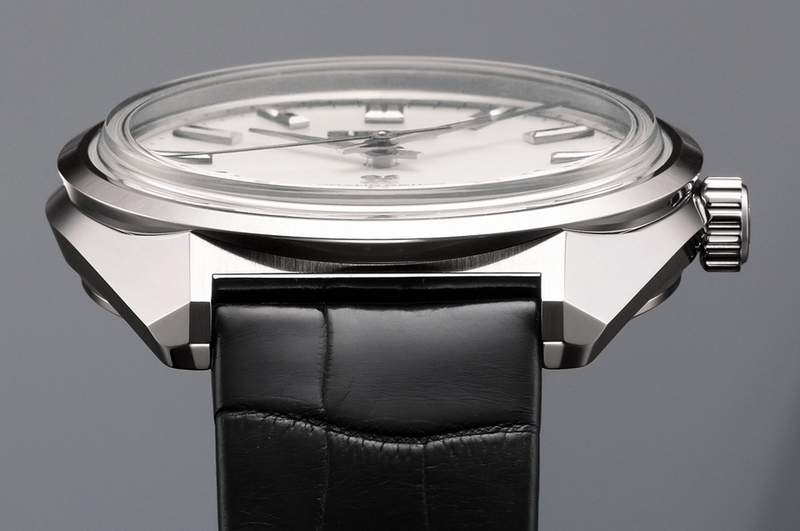 When merely glanced at, the design of the watch looks incredibly simple, almost generic. But take a closer look from a different angle. Notice how the sides of the bezel actually slope inward, then look closer and observe how the top of the bezel is grained in a radial pattern (that is the direction all seems to come from the centre of the watch) and then see how that contrasts with the mirror polishing of the near vertical surfaces. Then look at the lugs, look at the absolute precision of the line between the outer brushed surfaces and the inner polished ones; then look at the sides of the lugs, notice how they are cut away at an acute angle and how this angle mirrors that on the bezel. Then think about why they are cut away, this means that the area on your wrist can remain small (and so fit on a smaller Asian sized wrist) but the top of the watch can be that much larger (and therefore easier to read) than if the sides of the case were vertical. A great deal of thought has been put into the case design and the usability of the watch, now let’s look at the dial; once more look at the end view of the watch & see how both the ‘SEIKO’ and ‘GS’ logos seem to float above the dial, that is because they do. Like most metal logos, they are applied to the dial with metal pins going through the dial; however, unlike almost everyone else, Seiko chose to leave a tiny millimeter of space between the bottom of the logos and the dial, this massively emphasizes the three dimensional aspect of the dial. Now we come to one of my favourite parts of the watch, the hands; too often hands are just an afterthought, but these, like all GS hands, are simply stunning. They are faceted, with what looks like contrasting finishes on each side of the centre line, but it is only when you view them through a high powered loupe that you realize that both sides have the exact same mirror finish. Because they are faceted, the light will hit the two halves at different angles and so reflect and refract in different ways, giving the hands the two tone finish; this is only possible because of the extremely high mirror finish on them, this is achieved using multiple passes through a diamond polishing machine. It is this obsessive attention to detail that best exemplifies the Grand Seiko commitment to me. 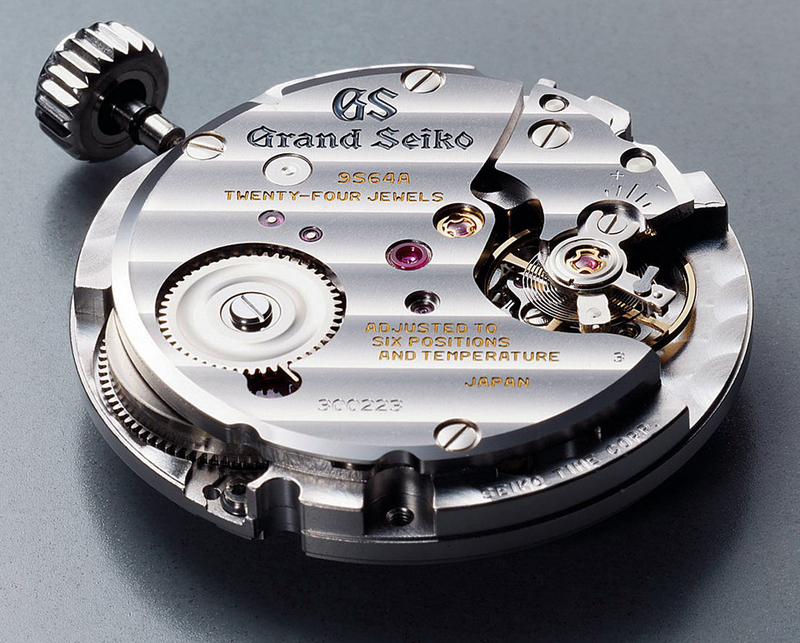 Of course, we can’t talk about a Grand Seiko watch without discussing the movement, and what a movement it is, called the 9S64, it is essentially a manual wind version of the current 9S55 automatic caliber, first introduced around 15 years ago. 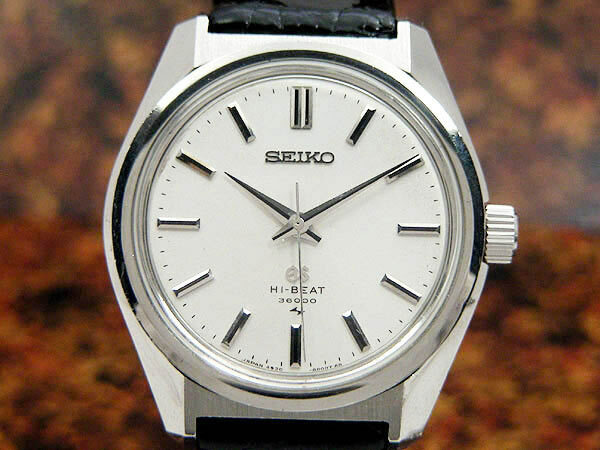 However, it incorporates many improvements on the earlier version, like many new Seiko watches, it uses a new material SPRON 610 for the mainspring, which increases the power reserve to 72hrs from the previous 55. SPRON (a contraction of SPRing micron) was developed by Seiko in conjunction with a leading Japanese university. 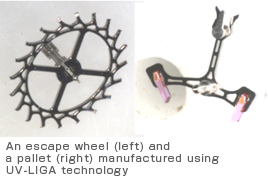 But the most interesting new process used in manufacturing this movement is the use of MEMS technology (Micro Electrical Mechanical System) in the production of the escapement. Rather than machining these parts, they are actually built up micron by micron in an ultra precise mould. A mould is first made by projecting the outline of the item required on the surface of the mould material, which has been coated with an emulsion which accepts this image. Using an acid process, this area is then etched away from the block, leaving a perfect mould. But instead of filling the mould with molten metal, in this case a PVD method is used to deposit a thin layer of metal in the mould, this process is repeated and slowly layer upon layer of metal is built up until the required thickness is achieved. 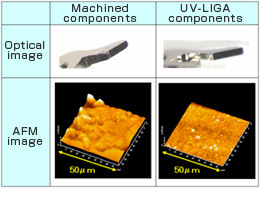 In this image you can see the difference in surface finish between a part which has been machined and one made using MEMS technology, the new technology produces items which have a surface roughness which is less than 20% of the machined item. Here you can see how precise and intricate items produced from these moulds can be. By reducing both weight and friction on the parts of the escapement it is possible to make considerable energy savings and these go a long way to explaining the increased power reserve in the new GS movements. But to me, the thing which really ‘sold’ me on the new watch was Seiko’s decision to make it an exact replica of the original, down to the size; it is just under 38mm diameter and 11.5mm high. Have a look at the image above and then at this one showing an original 45GS (the high beat version of the 44GS). To me, it is the perfect size for a semi dress watch, a perfect alternative to a JLC Master or a Glasshutte Senator and it is at this point that I have to make a declaration of interest. I saw this watch on the Press Day; was immediately knocked out by it and placed my order for a steel version there and then. So there we have it, amazing case & dial work, technologically interesting new movement and a perfect size; any wonder that I bought one?